Need help, information, or want to place an order by phone? Our team of staff is available to respond to your questions in English, French or Italian, Monday through Saturday from 10:00 am to 7:00 pm (Paris time). Contact them by calling 00 800 0000 1952 (toll-free number for any call made from France). They can assist you with your browsing experience and purchases. Givenchy items are delivered everywhere in France, with the exception of overseas departments, Corsica and the Principality of Monaco. Givenchy does not deliver orders to business addresses, P.O. boxes, hotels or university campuses. Orders to any of these destinations will not be processed. Delivery of items will take place upon full payment of the items ordered. Products can only be delivered to Metropolitan France (France, excluding Corsica, overseas departments and Monaco). Orders made from the website of a country different to that of the delivery address will not be processed. Same-day delivery between 6:30 pm and 9:00 pm, Monday through Saturday, in Paris and the Paris region (subject to postal code eligibility for this service) for any order placed before 2:00 pm Monday through Saturday. This service is not available on holidays. Delivery from Monday through Friday in a selection of GIVENCHY stores for any order placed online or by phone. If you designated a third person upon placing the order, he/she must provide his/her own valid photo ID, the bank card used for payment, the receipt and email indicating availability. You have a maximum of 10 calendar days from the email indicating availability to pick up the order or have the order picked up. After this time, from the notification, the sale will automatically be canceled and you will be reifunded the price of your order. Givenchy will inform you by email of the progress of your order. You can also track the progress of your order in the “My Orders” section of your online Customer Account at Givenchy.com or by contacting our Customer Service Department from Monday through Saturday, 10:00 am to 7:00 pm (Paris time), to respond to your questions in English, French or Italian at 00 800 0000 1952 (toll-free number for all calls made from France). Confirm your request for a return. You will receive a confirmation email with your return number. Place the items you wish to return as well as a copy of your receipt inside the box in which you received your order. Place the pre-printed return label provided with your order on the outside of the package. Once your package is prepared, contact our Customer Service to schedule a pickup of the package with our UPS carrier at your convenience. 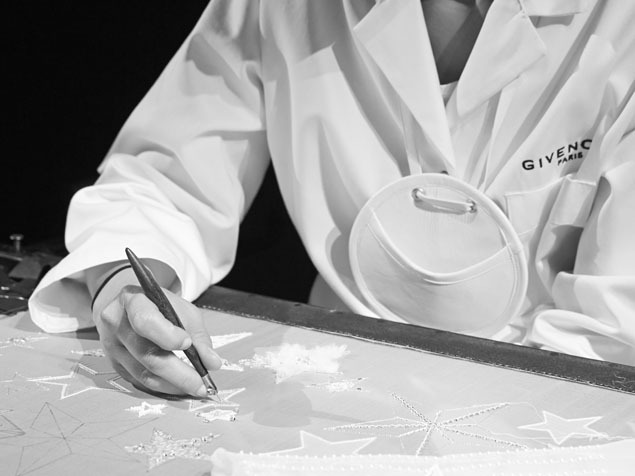 Contact Givenchy Customer Service:00 800 0000 1952 Monday through Saturday from 10:00 am to 7:00 pm (Paris time), in French and English (toll-free number for all calls made from France). You will receive a confirmation email with your request for return and pickup. A courier will come to your home during the previously chosen time slot for product pickup. You also have the option of returning your items ordered online in a selection of Givenchy stores. Be sure not to seal the box. Present your order receipt, the original copy of your valid photo ID, the bank card used for payment and the email indicating availability in store. If you designated a third person upon placing the order, he/she must provide his/her own valid photo ID, the bank card used for payment, the receipt and email indicating availability. GIVENCHY accepts the following payment methods for online purchases: Visa, Mastercard, American Express. An authorization application will be sent to your bank. Please note that your billing address must be identical to the one listed on your credit card statement. At present, we do not accept gift cards. Our team of advisors will assist you in English, French or Italian from Monday to Saturday from 10AM to 7PM Paris time. (call charges vary according to landline rates to the location called).